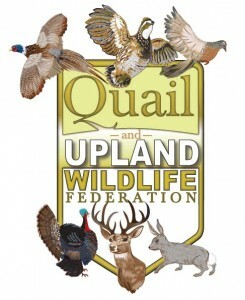 Join a tradition… of active conservationists who are dedicated to restoring habitat and populations of wild quail and upland species including deer, turkey, pheasant, rabbits, dove, prairie chickens, sage grouse and more. We don’t just talk about it, we “turn-the-dirt” ™ with projects from food plots to watering sites. We are a non-profit organization, formed as a 501(c)(3) organization so your contributions are tax deductible.